Though we’re considered a southern state, winter can get a little bit snowy—and even icy—here in Paducah, Kentucky. As your resident car experts, the team at Chip Wynn Motors wanted to offer a few tips for driving in the snow this winter to keep you and your loved ones safe. 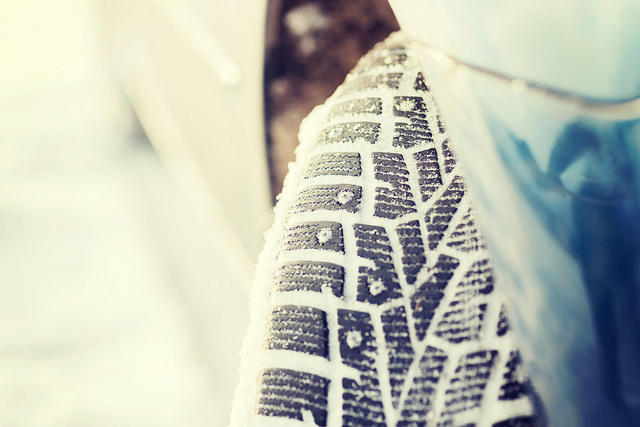 Make sure your tires are properly inflated and have good tread going into the winter. Check the pressure regularly. Accelerate and decelerate slowly to maintain traction. On top of that, stick to a lower speed on snowy or icy roads—or even roads that just look wet. Slick roads mean a longer braking distance, so lower speeds can keep you from rear-ending someone. Speaking of rear-ending, avoid collisions by putting more distance between you and the car ahead of you. Make sure you have some momentum when approaching a hill, but don’t slam on the gas, as that will just cause your wheels to spin. Never stop while driving uphill, and reduce your speed when going over top of the hill to ensure a slow descent. If at all possible, don’t drive in bad winter weather. Just stay home and enjoy the comfy couch and some hot chocolate. When the weather clears up, come visit Chip Wynn Motors to find your next vehicle.